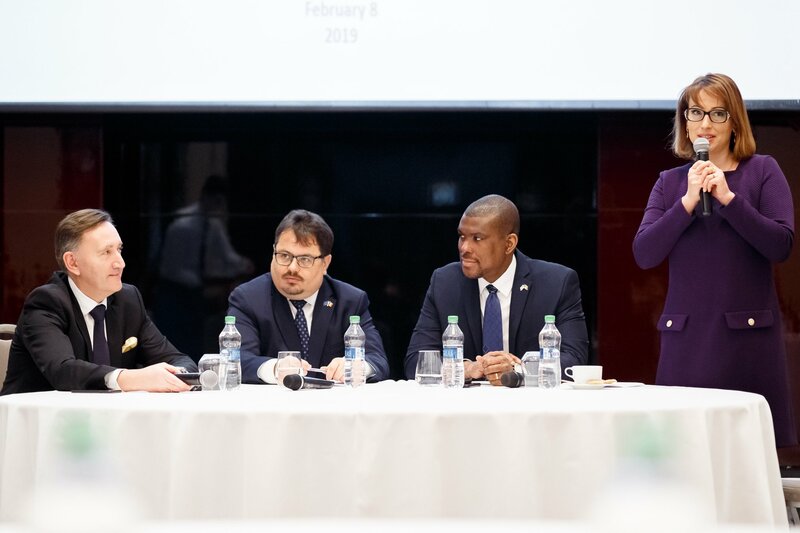 On February 8, AmCham Moldova and EBA organized a joint business breakfast featuring H.E. Mr. Dereck J. Hogan, US Ambassador to Moldova & H.E. Mr. Peter Michalko, Head of EU Delegation to Moldova. The breakfast started with a warm welcome from both Ambassadors, welcoming the business communtiy and the upcoming challenges, and elections. One of the main accent of the event, was the cooperation between the business and their expertise, and the authorities, followed by the necessity of a strong cooperation with the international partners. Members had the opportunity to question high officials, bringing valuable topics related to the economical, educational and investments situation in Moldova. In responding to the questions, both Ambassadors outlined that the role of business associations is very important in the work with the Moldovan Government and business leaders, thus fostering a more favorable business climate in Moldova for foreign trade and investment. Moreover, Ambassadors highlighted the importance of the business community and a robust civil society voice and will, that shall come first for the authorities and law-makers. corruption prevention and the necessity to eradicate the phenomenon.